In a recent 2016 MACS (Mobile Air Conditioning Society) report, a survey was displayed on the number of A/C services and repairs performed within a 60 day period. (The 60 day period started at the beginning of summer.) On average, there were 119 vehicles seen per shop with a total of 16 workshops. 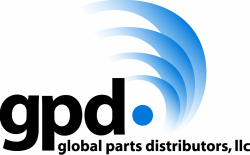 The study found that 53% of the cooling performance issues reported were related to low refrigerant charge. One of the leading causes of leakage was from the service port. Oil, which is used to lubricate the compressor, uses the refrigerant to help it circulate throughout the system. A low refrigerant charge will stop the oil from getting back to the compressor, and can ultimately cause premature failure. 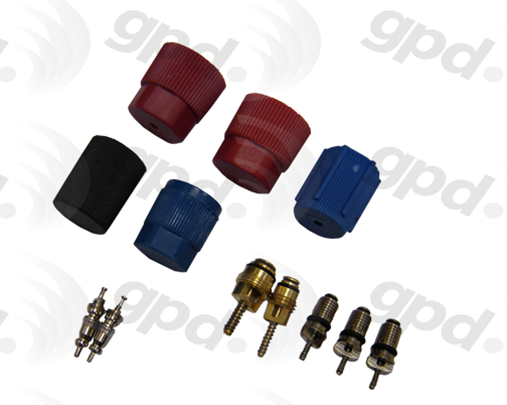 gpd offers a complete range of service port kits that include: the Schrader valve (for high and low side) and the service port caps. Service port caps are provided to stop debris from getting into the service port. These debris may also cause a leak or will allow contaminates to get into the system when serviced.